Your health is important but feel safe knowing help is always available to you. As you age, it is normal to become more concerned about your heart health. After all, the heart is the hardest working muscle in the human body, pumping out 2 ounces of blood with every heartbeat. This amounts to about 2,500 gallons of blood per day. Choices you make throughout your life can have a significant impact on the health of your heart as you get older. Exercise– Doctors recommend you participate in 30-60 minutes of moderately intense exercise most days of the week. If that length of time seems overwhelming, don’t worry; breaking the time up into shorter bursts of 10 minutes can be just as effective. Please be assured that this recommendation does not mean you need to join a gym. Common activities such as walking the dog or vacuuming the floor can help towards your daily exercise goals. Be sure to check with your doctor before starting any exercise program. Tobacco Use– Any type of tobacco use can lead directly to devastating heart disease. First, the chemicals in tobacco are known to narrow your arteries, which can lead to a heart attack. Next, nicotine increases your heart rate and blood pressure, making your heart work harder to pump blood. Finally, the carbon monoxide in cigarette smoke increases your blood pressure by physically replacing the oxygen in your blood. Regardless of if you consider yourself to be a social or serious smoker, the end results are the same. It’s never too late to quit. 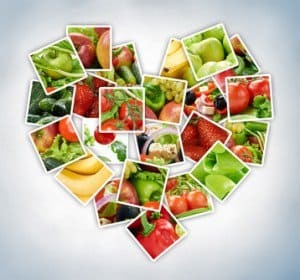 Diet– For optimum heart health, aim for 5-10 servings of fruits and vegetables per day. You should also incorporate Omega-3 fatty acids, which are found in good quantity in salmon and mackerel, as they can help decrease your risk of heart attack. There are also some items you should aim to limit. Saturated and trans fats, which are found in foods like red meat, fried foods, margarine, and packaged snack foods, increase your risk of developing coronary artery disease by raising blood cholesterol. Health Checks– High cholesterol and high blood pressure are two major ailments that can do great damage to your heart. It is important to visit your doctor regularly for screenings and tests which can check for these unwanted diseases. You should also ask to be screened for diabetes, another major risk factor for future heart problems.